I cannot wait to return and see the amazing children at Blessed Assurance again! "Having the opportunity to work with Moya, a young woman who is deaf, incredibly intelligent, and kind, was a ray of sunshine in my life! I hope that by communicating with her through sign language she was able to bond to me as much as I bonded to her. The way her face lit up each time she understood what I was signing will be ingrained in my heart forever. 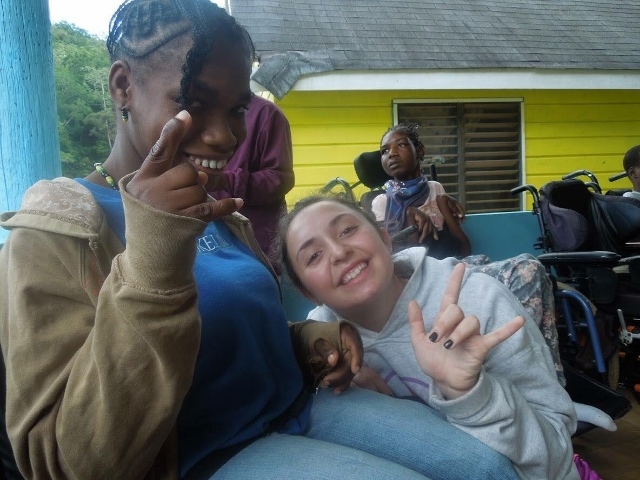 I am so thankful to God, to Merrimack College, and to Mustard Seed Communities in Montego Bay for giving me this unparalleled experience to spend time with a truly extraordinary young woman."